It had been over a decade since the steep cost of living in Huntington Beach, California, drove Paul and Bridget Laird to relocate to the suburbs of Dallas, Texas, but the couple’s love for city living and walkability brought them back to the drawing board. 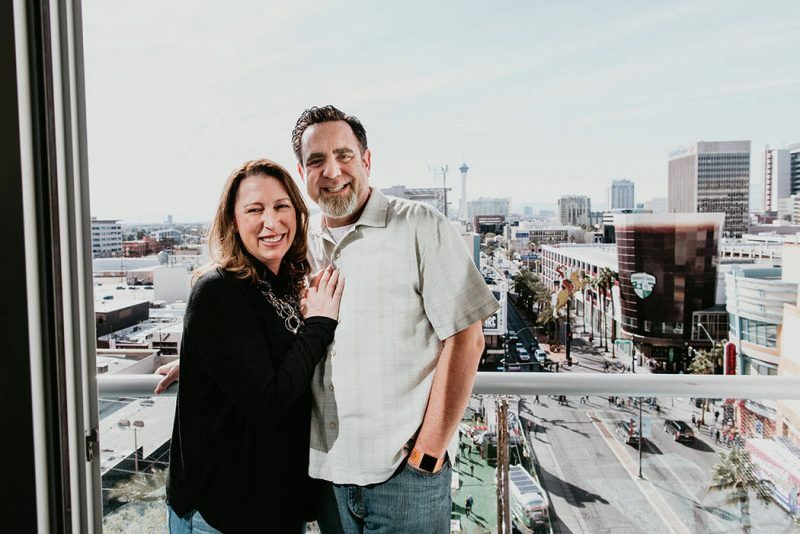 After doing research and identifying their wish list of wants and needs in their dream home, the Lairds narrowed their search to Las Vegas, and more specifically, to The Ogden, an iconic 21-story, high-rise condominium tower in the heart of downtown Las Vegas. “There are a lot of things we loved about living in Huntington Beach, but none more than the ability to walk to so many great restaurants, bars and attractions. When we left Huntington Beach for Dallas, we had to adjust to getting in the car and driving somewhere anytime we wanted to go out and eat. 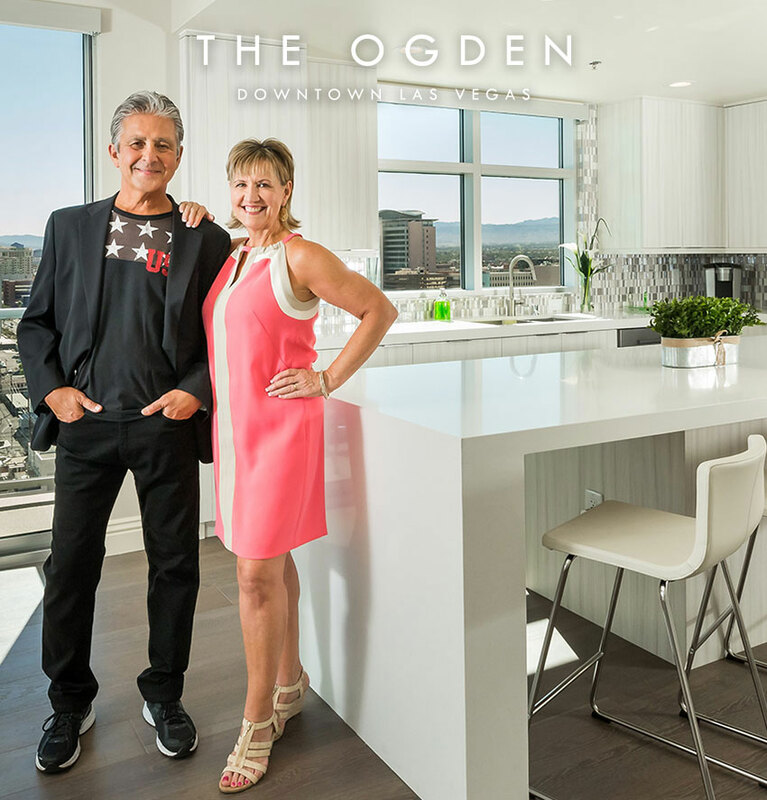 So when we decided to start looking for a new home, we started looking at high-rise communities, and despite the fact we had not done it before, everything just felt right at The Ogden,” Bridget said. Since Bridget and Paul work for IT companies that allow them to work remotely from any location, the decision to relocate came easy. But what they didn’t expect was to find their dream home so quickly. The Lairds are now proud homeowners of The Dentner, a two-bedroom residence that offers panoramic views of downtown Las Vegas. “We looked at various high-rise communities, including some closer to the Strip. But we found what we were looking for in The Ogden and its many amenities, built-in social network and central location. Downtown offered just the right mix of excitement and vibrancy. From the sense of security, on-site parking, the rooftop SkyDeck and concierge, it often feels more like we are on vacation 24 hours a day! We found the perfect package at The Ogden and couldn’t be happier,” Paul said. The Lairds also appreciate having access to the state-of-the-art fitness center and the resident social calendar, led by the community’s lifestyle director, Evelyn Connors. The couple has already experienced all the fun at Wine Down Wednesdays and looks forward to participating in many other activities. “When we first visited The Ogden, we met residents in the elevators who were genuinely friendly and clearly very happy with being part of this community. That was one of the first signs we had found home. There’s a huge effort by everyone, both residents and staff, to foster a community unlike any other,” Bridget said. “With both of us working from home, we started this process thinking we needed no less than three bedrooms — our bedroom, a guest room and, of course, a room for our home office. But we discovered a wonderful work share down the street from The Ogden, which has been a great experience. And when we need to break for a bite to eat, we just walk to one of our favorite restaurants, including Evel Pie on Fremont Street or Flock and Fowl right here on the ground floor of our building,” Paul said.